The Union of Medical Care and Relief Organizations (UOSSM) has been awarded a $250,000 innovation grant by the Humanitarian Grand Challenge for their Health Integrated Resilience System (HIRS) project that provides medical aid in conflict zones. The project’s goal is to plan, develop and deploy an integrated system which combines three components; solar energy, electric vehicles, and telemedicine. Over the next two years, HIRS will launch a pilot electronic vehicle (EV) ambulance system and work on integrating remote telemedicine services in solar-powered hospitals and clinics in Syria in order to address the human resources gap in conflict zones. 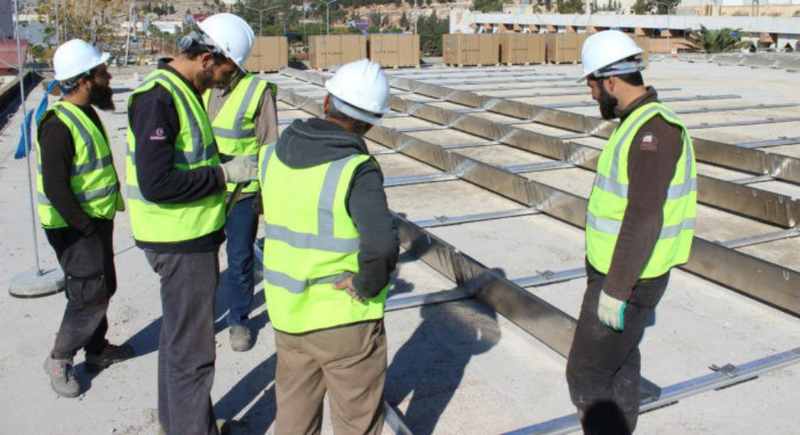 The HIRS project is an extension of the Syria Solar initiative, a solar project where UOSSM (and supporting partners) installed 480 solar panels in the largest hospital in northern Syria in May 2017. UOSSM works to strengthen the resilience of health systems in Yemen and Syria — while diminishing reliance on diesel fuel. The HIRS project was one of 23 applicants out of 615 to be awarded $5 million in funding collectively. “We are really excited to bring this idea into a reality, and test its application and implication,” Kanaan said.